Product prices and availability are accurate as of 2019-04-16 05:09:19 EDT and are subject to change. Any price and availability information displayed on http://www.amazon.com/ at the time of purchase will apply to the purchase of this product. 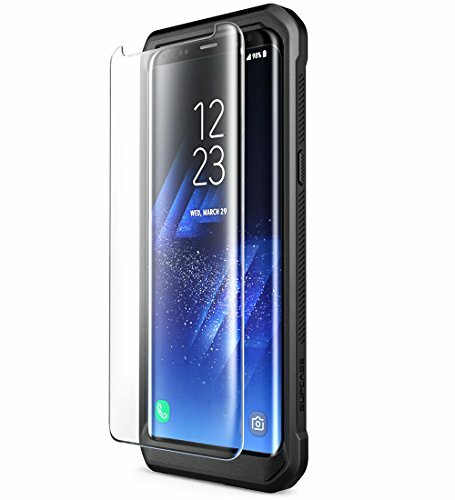 The FitGlass screen protector is designed specifically with the Samsung Galaxy S8 in mind. This product ensures the safety and durability of your smartphone screen and conveniently works with many popular heavy duty cases including: SUPCASE UB Pro, Otterbox Defender series, Otterbox Commuter series and i-Blason's Armorbox. Easy to install and wipe clean.